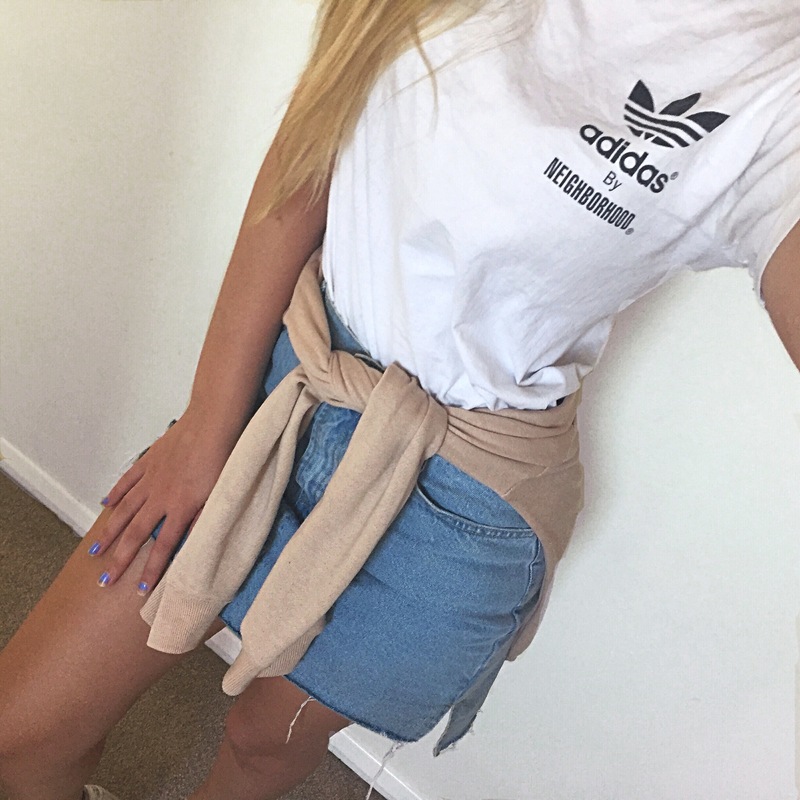 Thought I’d share an outfit choice I’ve been loving recently – to make the most of the hot weather with. I wore this outfit with some Adidas superstars in all white to complete the look. I love this jumper’s shade of pink it’s dusky and slightly peachy too, this doesn’t pick up on camera though. I bought both the items from Bershka on different shopping trips surprisingly, the skirt I had been hunting for ages and I finally found one I liked, I picked it up full price but it’s now in the sale guys if you wanna check it out! However because I have such a fat arse I had to size up and so the waist is a bit big for me, hence why the jumper is tied round my waist. It also stops it from riding up when you walk which is a bonus. I’ve been wearing it non stop recently as its hot in the day and you can always chuck the jumper on if it gets a bit chilly.